Today is a very special day. Today I share with you the most coveted recipe in my family. 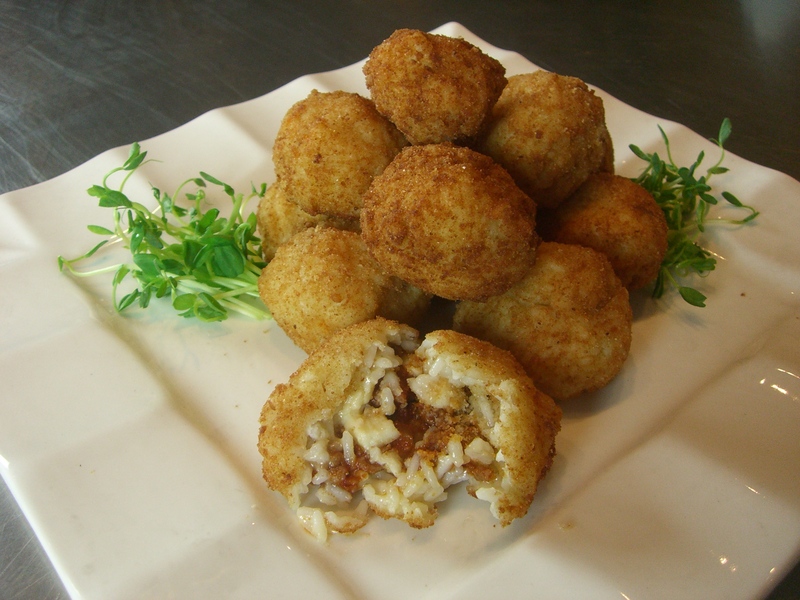 We call them “ronginis” but they are arancini, or stuffed rice balls. My grandmother, Nancy Zito (we called her Nanny), was the only one who made them and she only made them for special occasions or holidays. My nanny, Nancy Zito, making perfect “ronginis”! I had her show me how to do them when she was 90 in 2002. It was the pre-digital picture/video days, so I took pictures of her hands with a film camera – old school! Haha! She was not very patient with me while I captured each step of how she made the balls – it disrupted her flow of doing them just right, according to her. Luckily I didn’t let her deter my purpose and of course they were their usual “perfect” as you can see at the end of the following video – before there were “selfies”, I actually took one of me and Nanny the day she taught me which she was not thrilled with posing for obviously! There are 3 stages but they’re easy to do. Note: I usually don’t favor particular brands of anything but Nanny insisted on Carolina white rice. 1) Make one cup of white rice according to package direction, using a tiny bit more water – you want the rice thick. Drain any remaining water. Blend in 4 tbsp butter and grated cheese. Let sit until room temperature, then fold eggs into the rice and mix well. Set aside. 2) Chop mozzarella into small pieces. Set aside. 3) For the filling, melt 2 tbsp. butter in a skillet and add onions. When they’re translucent, add the ground pork and brown. Mix in tomato paste, sugar, and raisins. Set aside. 4) Create an “assembly line”: rice, bread crumbs, meat filling, and mozzarella with a dish for the finished rice balls. You’ll be creating about 2” rice balls. 5) Sprinkle one hand with bread crumbs, then spread rice in your palm. Spoon about 1/2 tsp meat filling, then a couple bits of mozzarella to the center of the rice and close to create a ball – add more rice if necessary. Roll in bread crumbs and place to the side. It usually takes doing a couple to get the hang of it. Keep going until you’re out of rice. 6) Heat the oil in a deeper sauce pot. Using a small basket or slotted spoon, carefully place in the rice balls, leaving enough room to scoop them out. Remove from the oil when they become a golden brown. Place on paper towel to absorb excess oil. You may think you’ve had good ones before, but after you have these sweet & savory version, you’ll realize those others can’t compare! Every time I make “ronginis”, it’s like being at Nanny’s table. You are now honorary members of my family! Ill be making these – Thanks for sharing Annette! I pintrested this! I am Eileen Hahn’s cousin Janet I love your posts .My daughter Sandi also makes these,she learned from her Italian mother in law who comes from Sicily.The only difference from yours is that instead of raisins they put a pea in each, and you are so right -there is nothing like these rice balls. Yum. 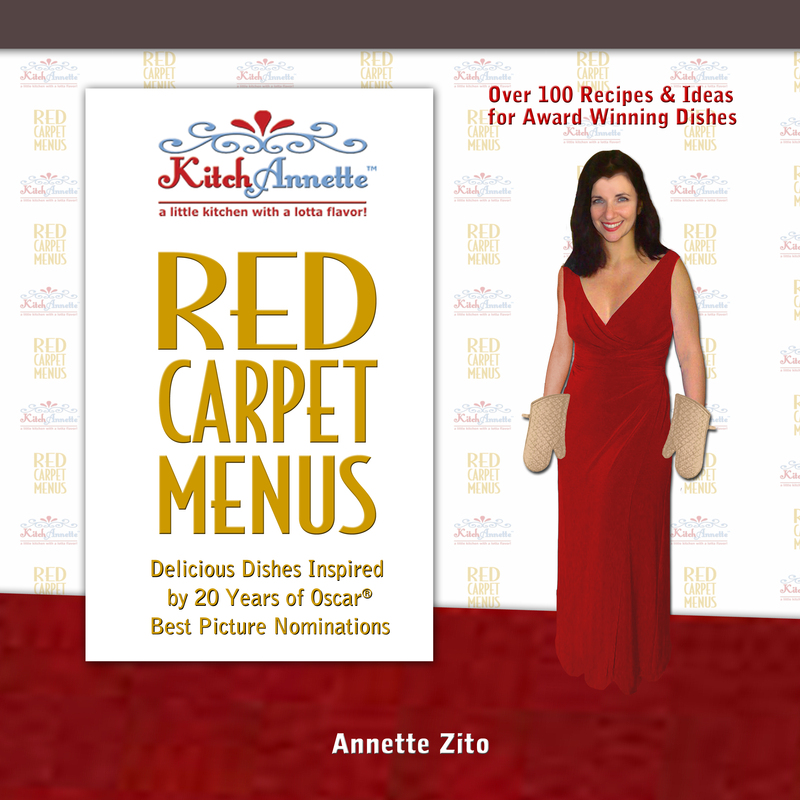 Keep the recipes coming.A nd don’t forget the Oscars are coming!!! Thanks Janet. I remember meeting you long ago. Those Sicilian style are more savory with no raisins or sugar usually but another yummy variety! As for the Oscars, for me the holiday season starts on Thanksgiving and ends on Oscar night! Can’t wait to hear the nominations in January! Happy Holidays to you!